BlueClaws Director of Production Kirsten Boye will serve as a mentor in MiLB's new LIFT (Leaders Inspiring Future Talent) Mentorship Program. ST. PETERSBURG, Fla. - Minor League Baseball™ (MiLB™) announced the mentor-mentee pairs for the inaugural class of the LIFT (Leaders Inspiring Future Talent) Mentorship Program. 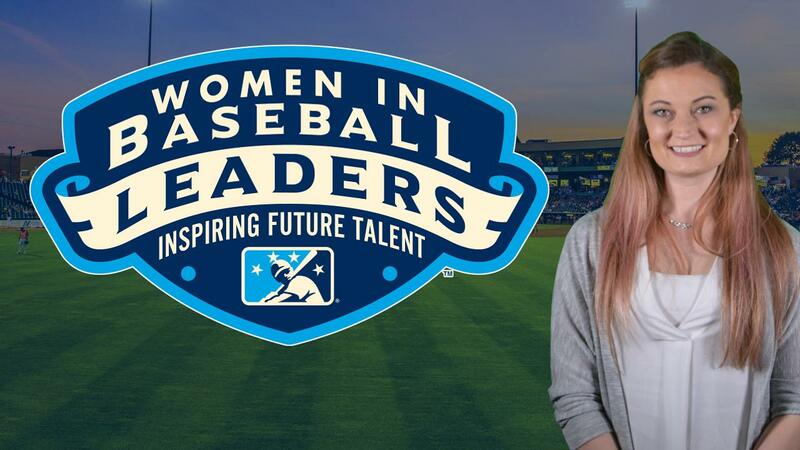 The mission of the program is to build continuous lines of communication and support for female professionals in Minor League Baseball, develop the next generation of women executives and continue to retain qualified professionals in the baseball industry. The formation of the LIFT Mentorship Program was announced in August. BlueClaws Director of Production Kirsten Boye will serve as a mentor in the new program. She has been paired with Abby Kappel of the Rocky Mountain Vibes. Boye joined the BlueClaws in 2015 and was promoted to Director of Production prior to the 2018 season. She is in charge of the BlueClaws in-stadium presentation as well as all graphic design, print pieces, flyers, and advertisements produced by the team. A 2010 graduate of Hofstra University, Boye graduated with degrees in both Video & Television Production and Theater. A native of Voorhees, New Jersey, she previously worked for the Camden Riversharks prior to joining the BlueClaws. BlueClaws Partnership Services Coordinator Arielle Roth has been selected as a Mentee and is paired with Baylor Nicole Love of the Tennessee Smokies. Roth, a graduate of the University of Florida, joined the BlueClaws as an assistant in March and was hired full-time in September.